Photos submitted to Times Observer Tidioute Community Charter School Honor Society members in K-6 collected items for the VFW Post 8803 Troop Box program. 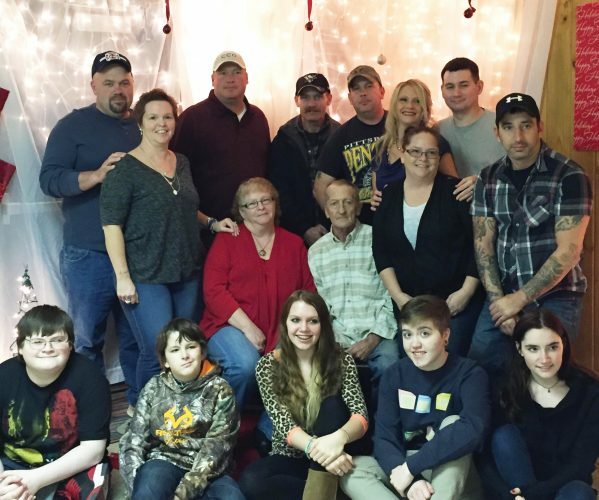 From left, in front, are Malaina Henderson, Charleigh Archuleta, Michael Hulse, Brett Schmidt, Paige Beck, Marlee Nuttall; row two, Doris Svitek -VFW Auxiliary chairman, Bonnie Fox-VFW Auxiliary President, Brooksten Fores, Zaynah Gardner, Mrs Guerra; row three, Kassedy Kibbey, Callan Patterson, Logan Sabella; row four, Kaylee Bailor, Alicia Sabella, Amiera Dansk, Mahalia Campbell, Jagger Clark, Kash Kennedy; and, row five, Lyli Breeding, Lane Buccardo, Rilen Paden. Thursday, February 9 will be Hot Roast Beef Sandwiches with gravy, mashed potatoes, peas and carrots, wheat bread, sugar cookie. Monday, February 13 will be Sloppy Joe sandwich, baked potato soup, wheat sandwich roll, pineapple tidbits. Tuesday, February 14 will be House Blend Chicken Breast with gravy, Lyonnaise potatoes, broccoli, wheat bread, cherry cheesecake. Thursday, February 16 will be Sweet Sausage with peppers and onions, redskin potatoes, green beans, sausage roll, chocolate ice cream. Monday, February 20 the center will be closed for Presidents Day. Tuesday, February 21 will be Baked Turkey Pot Pie with potatoes and vegetables, fresh coleslaw, buttermilk biscuit, mixed fruit salad. Thursday, February 23 will be Breakfast for lunch of Egg Omelet with Cheese, breakfast sausage, breakfast potatoes, bread and jelly, fresh navel orange. Monday, February 27 will be Pepper Steak with peppers, onions and gravy, parsley noodles, baby carrots, wheat bread and birthday cake. Tuesday, February 28 will be Beef Stew with potatoes and vegetables, mixed greens with tomato, carrots, cabbage, dressing, a biscuit and applesauce. Please be sure to call the center at 484-3020 to sign up for the lunches at least two days in advance. Also, remember that he center is located at 174 Main ST (Tidioute Towers) community room. Entrance is on the Creek side of the building. And no parking in the blacktop areas-this is for the residents. Parking for the center is along the railroad bed or on Main St. 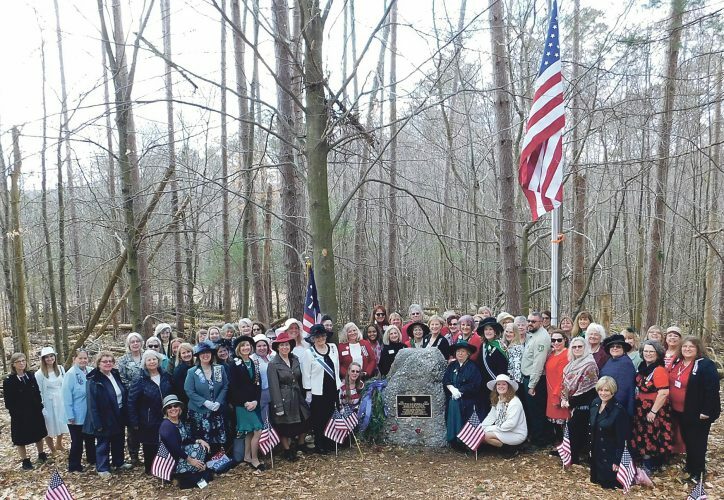 The American Legion Auxiliary Unit of Elzie E. Lynch Post 0334 will be holding a meeting on Wednesday, February 8 at 7 p.m. This meeting will be held at the Post building on Route 62 south of the Tidioute Bridge. Tidioute Community Charter School will host a Blood Drive on Thursday, February 9 at the Tidioute Firehall from 12:30 p.m. to 6 p.m.
VFW Post 8803 will host a Valentine Dance on Saturday, February 11 at the post home from 7 p.m. to 10 p.m. with Music provided by “Joy Ride”. A Pot Luck dinner will be held prior to the dance from 6 p.m. to 7 p.m. please sign up for the pot luck. There will be a Craft Show at Buccardo’s Restaurant in the Banquet Room on Saturday, February 11 from 9 a.m. to 2 p.m. There will be several gift items for Valentine’s Day Gifts, and gifts for yourself. Vendors include: handmade jewelry, glass block center pieces, candy dishes, vinyl designs, Homemade baked goods, Lulu Rue clothing, wood designs, hand crocheted items, candles and warmers just to name a few of the items that will be available. VFW Post 8803 will hold their regular monthly meeting on Sunday, February 12 at 9 a.m. at the Post Home. Members of the Serviceman’s Home Corp will meet on Sunday, February 12 at 9:30 a.m. at the post home. Sons of American Legion Post 0334 will meet on Sunday, February 12 at 10 a.m. at their post located just south of the Tidioute Bridge. Tidioute Borough Council will hold their regular monthly meeting on Monday, February 13 at 7 p.m. at the borough office located at 129 Main St.
Deerfield Township Supervisors will meet on Monday, February 13 at 7 p.m. at the Township building located on Morrison Hill. There will be a Chicken and Biscuit Dinner on Saturday, February 18 from 4 p.m. till 6:30 p.m. at the Tidioute Firehall in the social hall. You can dine in or have a take out. Cost is a donation. Dinner sponsored by Chapel at the Creek. 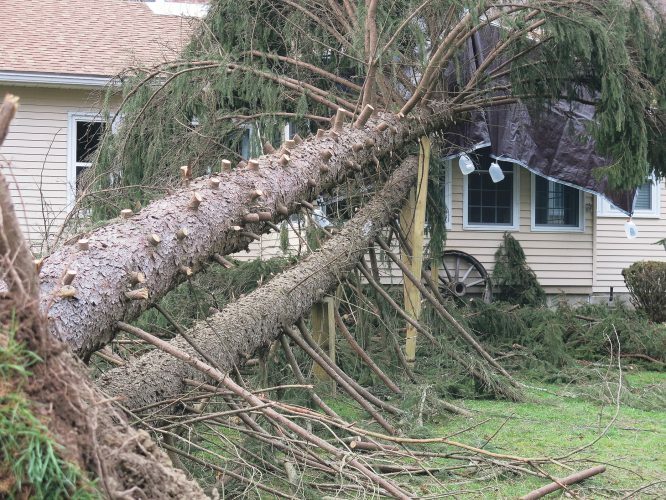 For more information or have questions please contact Dan and Laurie at 814-706-2900. Tidioute students who won the competition in Tidioute competed at the YMCA in Warren and now several of them will go on to compete in the next level in Greenville on February 19. Good luck to these students. Tidioute Community Charter School National Elementary Honor Society held their 7th annual collection drive of items for the VFW Auxiliary Post 8803 Military Troop Box Program. Under the direction of Mrs. Guerra they were very successful. Students presented the items collected to VFW Auxiliary project chairperson-Doris Svitek and Auxiliary President-Bonnie Fox. Kathy Matie co-chairperson was unavailable. 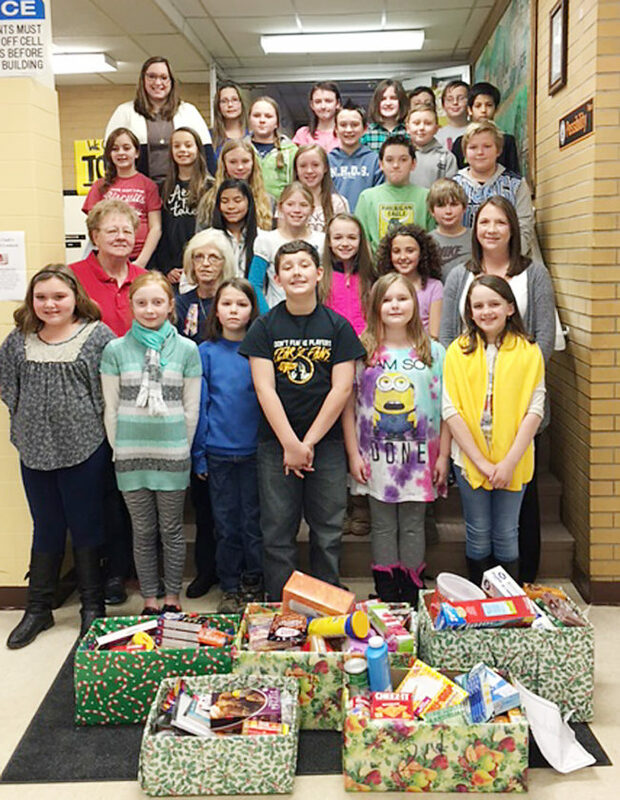 Fifth-grade students won this year for the most items collected and donated. The students, staff and members of the VFW Auxiliary as we all are, very thankful for everything that the troops fo and this is a way to show them our appreciation for their service. Over 2,061 items were donated this year. Thank you to everyone who sent in donations for the troop boxes. The Tidioute Community Charter School will hold their annual “The Sweetheart Dance” on February 24 from 6 p.m. to 8 p.m.
Music will be provided by the “Bubble Gum DJ”. Students can bring a parent or an adult of their choice. This is a semi formal event. Light refreshments will be served. The dance will have a Valentine Day theme. Admission is $5 for the student and their guest. Tidioute Community Charter School celebrated National School Choice the week of January 22 to the 28. National School Choice Week 2017 has demonstrated that support for school choice in America is broad, widespread, and crosses all party and geographical lines. This is a dynamic, grassroots effort to put students and families first so that we can build a brighter future for our great country. The TCCS PTO, National Honor Society and Student Council did fun little things all week to thank teachers and staff and planned an assembly for the students and parents to celebrate our school. U. S. President Donald J. Trump issued an official proclamation recognizing January 22-28, 2017 as National School Choice Week. The proclamation was the second official proclamation of the Trump presidency. Secretary Designate, Betsy DeVos, celebrated National School Choice Week as well by attending a celebration of school choice at Thurgood Marshall Academy, a high- performing charter school in Washington, DC. The Week is the world’s largest ever series of education events, and shines a positive spotlight on effective education options for children, including traditional public schools, public charter schools, magnet schools, private schools, online academies, and homeschooling. National School Choice Week is a nonpartisan, nonpolitical, independent public awareness effort. Tidioute Ambulance Chief-Shawn Silvis has announced that the ambulance memberships for Tidioute Ambulance Service have been mailed out and if you do not receive your membership application within the next couple of weeks. You can pick one up at local businesses including: Tidioute Trading Post, Buccardo’s Restaurant, Tidioute Post Office, Evans Market, and Kings Building Supply. For more information please contact ambulance chief Shawn Silvis at 814-730-2389. Tionesta Cub Scout Pack 28 members toured the Tidioute Fire Department on Wednesday. The scouts toured the ambulance and fire trucks and were given instruction on protective fire gear and equipment. Tidioute Community Charter School Basketball teams have the following game scheduled. Wednesday, February 8 will be BB, GB at Commodore Perry (VO); Friday, February 10 will be JHB, GB, BB at Warren County Christian School at 4 p.m.; Monday, February 13 will be Girls at North Clarion; Wednesday, February 15 will be Jr. High vs. Youngsville-Boys at 5:15 and girls at 6:30; Friday, February 17 will be JHB, GB, BB vs. Calvary Baptist (Sr. Night). ; Monday, February 20 will be JHB vs. Cranberry; Wednesday, February 22 will be JHB at Forest. The PTO at Tidioute Community Charter School is asking the students to sell Little Caesars’s Pizza Kits for their end of the year field trips and programming for this spring. Orders and money are due back to the school by Monday, February 13 and orders can be picked up on Wednesday, February 22 from 3 p.m. to 5 p.m.
For more information please contact the school at 814-484-3550. Thursday, February 9 will be the Blood Drive at the firehall from 12:30 p.m. to 6 p.m.; Wednesday, February 15 Board of Trustees at 7:30 p.m.; Friday, February 17 School Dance; Monday February 20 no school-professional development; March 1 Open Enrollment starts for the 2017-2018 school year; Thursday, March 2 will be the PTO meeting. Tidioute Senior Center, located in the community room at Tidioute Towers will host the VITA Site Taxes beginning Thursday, February 16 from 9 a.m. to 3 p.m. and continue every other week till March 30. The VITA volunteer will prepare your Federal, State , local and property tax and rent rebates all free of charge. The IRS has purchased a new software system, so no one is in the system anymore, it was not transferred to the new software system. So it is mandatory that clients bring the following forms: Last year’s return, photo ID, Social Security cards for everyone on the return, income statements and if you want to itemize you will need: medical bills and insurance premiums, charitable contribution receipts, property tax receipts and mortgage statement from bank. If filing a joint return, both people need to be present at the appointment. Good News!! Tidioute Lions Club has found a new company that will purchase the newspapers and magazines from them, therefore the good news is that you can once again save your newspapers and drop them off in the appropriate containers at the recycling center. The Tidioute Lions Club does a lot for the community and pour a lot of money back into the community as well. The money they collect for the recycling program goes back into our community so please help the Lions Club by recycling your number 1 and number 2 plastic, cardboard, glass-clear, amber and green, aluminum and newspapers. Volunteers and new members are always welcome. For more information please contact Dan Reese at 706-2900. Tippy Canoe will host their 14th Annual Chili Cook Off on Sunday, February 26 at the Tippy Canoe. Those who wish to enter need to contact the Tippy at 484-7341 soon. Entry is free. More alumni are needed for the upcoming basketball tournament to be held on Friday, March 24 at 6:30 p.m. at the Tidioute Community Charter School. This event is to help raise funds for the Spanish Clubs trip to Spain in 2018. The first game will be between the Alumni and Staff members and the second game will be between the high school girls and high school boys; the winners of these games will play against each other in a free throw competition. Anyone interested in playing should contact Monica Morgan at mmorgan@tidioutecharter.com. These game are open to the public to watch and enjoy, come out and root for your favorite team. Tidioute Volunteer Fire Department has free smoke detectors for the residents of Tidioute thanks to the Tidioute Lions Club. To get your free smoke detectors call Chris Morgan at 814-688-1501 or stop at the firehall-down in the truck bays on Sunday mornings from 9 a.m. to 12 p.m. or Thursday nights from 6 p.m. to 9 p.m.
VFW Post 8803 will hold their Chili Cook off on Saturday, March 4. This year they are adding a Pie Bake Off. Judging will start at approximately 1 p.m.
VFW Post 8803 Auxiliary members will be holding their Chinese Auction on Saturday, March 4 at the VFW Post following the Chili and Pie Cook off. Auxiliary members are accepting items for the Auction. If you have items for this auction, they can be left at the Post Home with the bartenders. Tidioute TATA’s are hard at work again starting plans for their 3rd annual Pub Crawl. The event will take place on Saturday, March 18. In addition to Crawling through our local bars they will also be adding an “After Party” at the Tidioute Firehall featuring the band, Smokin 45. The 22nd Annual Health Fair in Tidioute will be held on Saturday, March 25 from 7 a.m. to 12 p.m.
An A1C test which shows blood glucose over a 2-3 month period, can be taken for $10. Free Screenings will also be available such as Body Fat Analysis, blood pressure, height, weight, BMI, diabetic foot evaluations, glaucoma screenings, pulse ox. Package includes: motor coach transportation, hotel-one nights lodging, hot breakfast, admission to Creation Museum, admission to Ark Encounter, dinner, tour director, liability insurance, all taxes and gratuities on included items. If time permits there will be shopping. 8 AM Legion Auxiliary meeting at 7 p.m.
9 Blood Drive at firehall 12:30 to 6 p.m.
11 Craft Show at Buccardo’s Restaurant 9 a.m. t o2 p.m.
Pot Luck Dinner at VFW 6-7 p.m.
Valentine Dance at VFW 7-10 p.m.
12 VFW meeting at 9 a.m.
Sons of American Legion 10 a.m.
13 Borough Council at 7 p.m.
Deerfield Township supervisors 7 p.m.